Trying to book a plane ticket online can take so much time and you still don’t know if you got the best deal. Driving down the interstate the other day, we were amazed at all the trucks – big trucks, cargo trucks, tanker trucks, livestock trucks, logging trucks and on and on. As we tried to make progress and changed lanes, another truck was blocking our way. This went on for 6 hours as we tried to get to our destination. This episode made me think of how people try to book their airline tickets online. There are so many sites to do your research on. So, you skip from site to site getting more confused all the time. 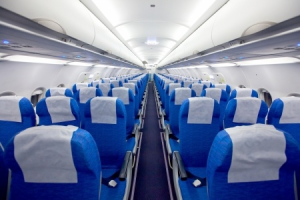 There are only a few seats that the airlines allow you to book online at reduced prices. With thousands of people wanting the seats, you find yourself getting all different prices for the same seat. Why is that? So you jump to another site and see a different price. You then you think you have a “free way” to book, only to find out the price has changed for that seat. Another block in your way to getting that one airline ticket. Back and forth you go spending so much time, just like us switching lanes just trying to get down the freeway. I can give you the reasons for all this pricing with the airlines. But, instead of that, just contact your friendly travel agent who can find you the best price in just a short time. 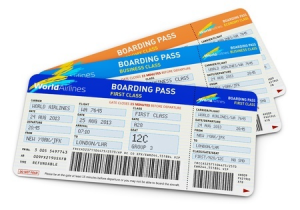 Travel agents get the majority of the seats to sell and most times they are wholesale tickets that you won’t find online. Or maybe you just love all that “lane switching” like the motorcycle we watched switching back and forth. Save the stress in your life and let me do the shopping for you…it’s what I do, and I do it well!